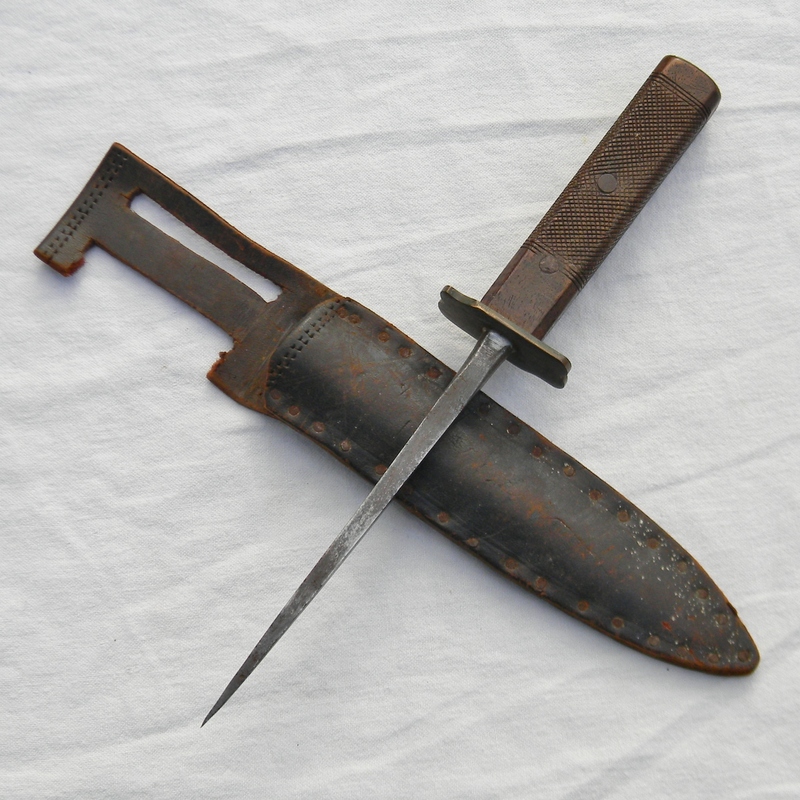 WW1 France Le Poignard trench dagger / fighting knife with forged 6″ long “spike” blade and original custom-made leather sheath in great overall condition, considering the age. 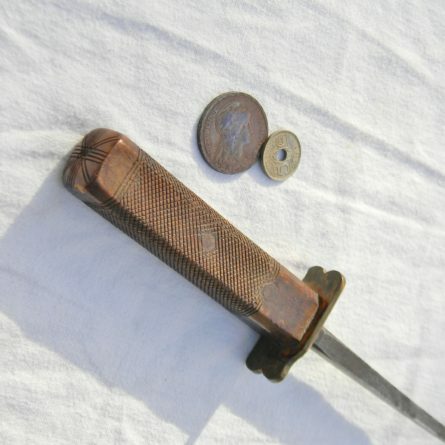 RARE TYPE. 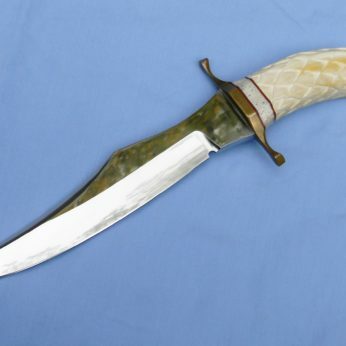 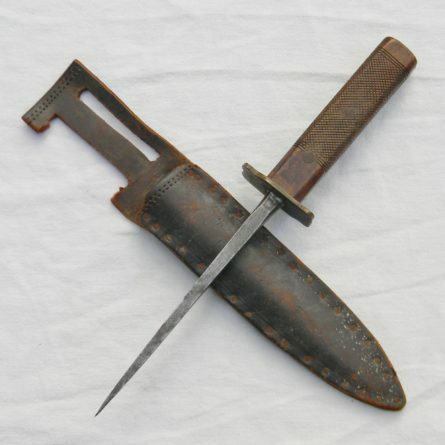 Very cool-looking and rare WW1 era trench dagger; the overall style and materials point to the French origin – a pretty typical “Le Poignard” style fighting stiletto made circa 1915-1916. 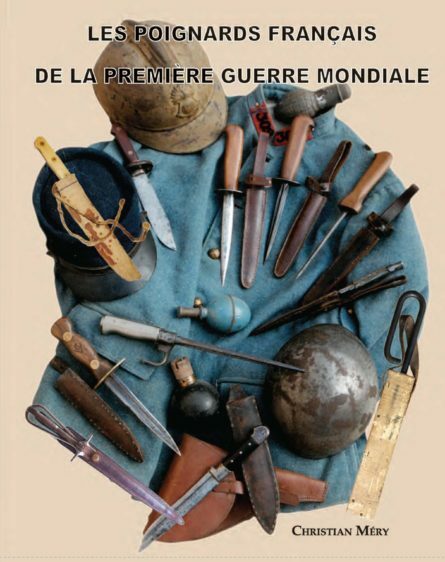 Early in the war the French military faced the need for a great number of fighting knives suitable for the trench warfare. The French needed a lot of fighting knives and they needed them quickly. 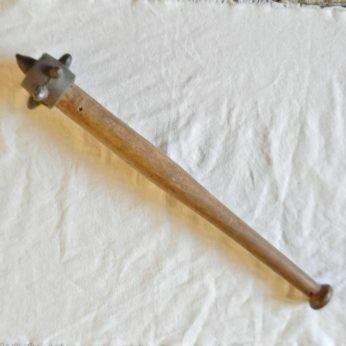 So in the first few years of the war a lot of simple, yet practical stabbing implement of all shapes and sized were made by a large number of French manufacturers. 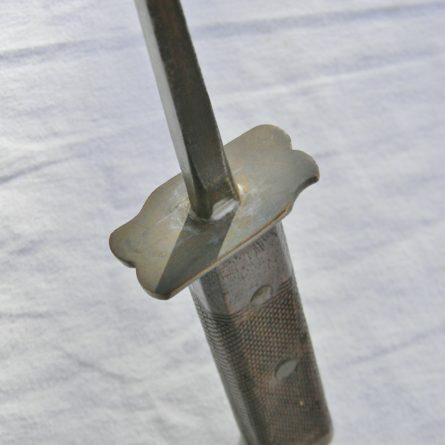 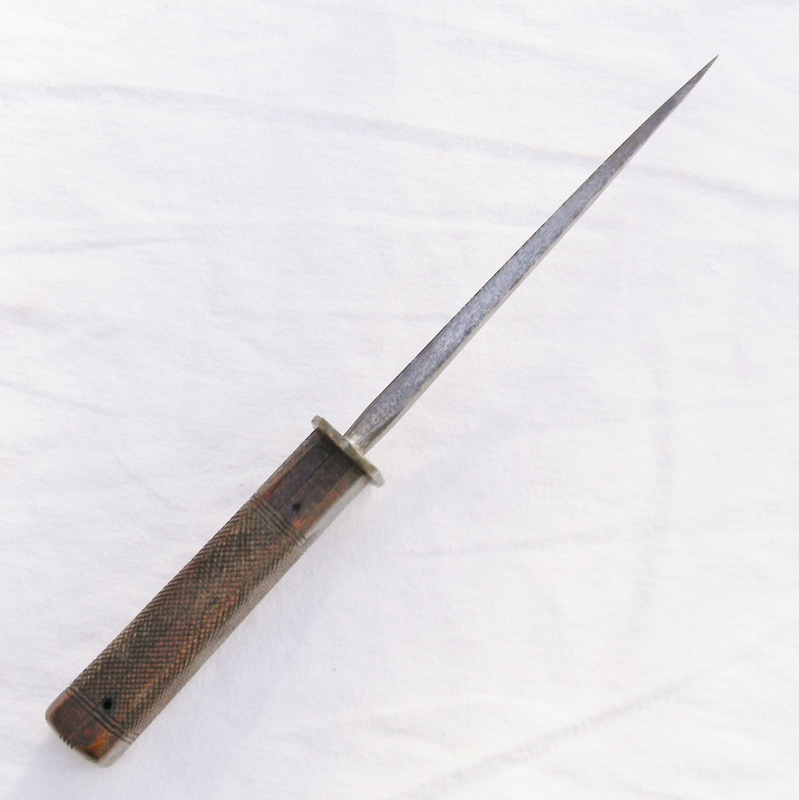 These “stabbing trench knives” were popular with the French infantrymen as they provided to be much handier in the close-quarters fighting than the standard issue long rifle bayonets or sabers. 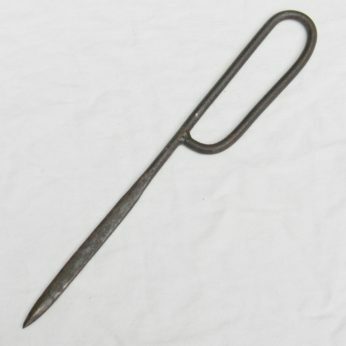 A simple tool, but very practical and deadly. 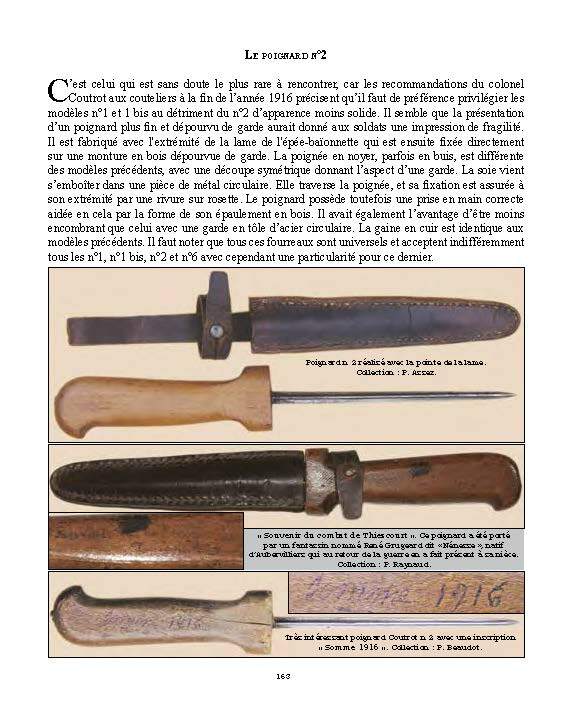 A similar “Le Poignard” type is illustrated on page 163 in the excellent French reference book French Knives During World War One by Christian Mary (see the book’s page scan in the photos). 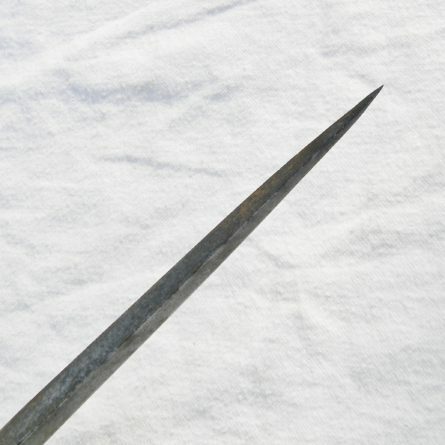 This dagger is about 10-1/2″ / 26.7 cm overall; forged “diamond” cross-cut shape blade is about 6″ / 15.2 cm. Excellent overall condition, considering the age; all handle parts are tight. 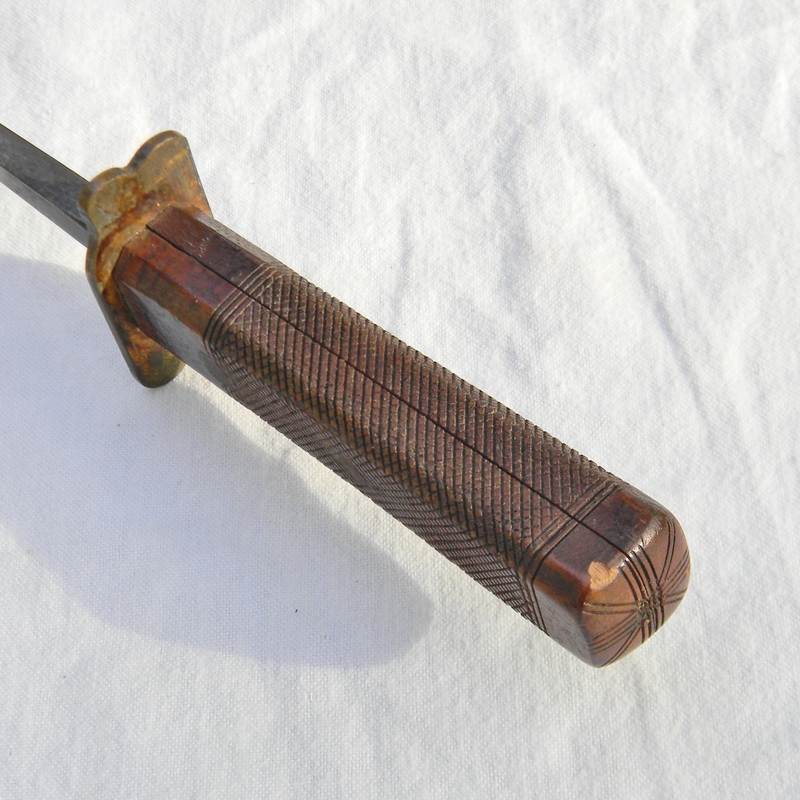 Varnished wood handle scales are meticulously decorated with the criss-cross pattern – this all looks like a manual labor to me; probably “theater-made” decoration. The wood is in near-excellent shape with no cracks or dings; a tiny wood chip on the pommel is noted for accuracy. 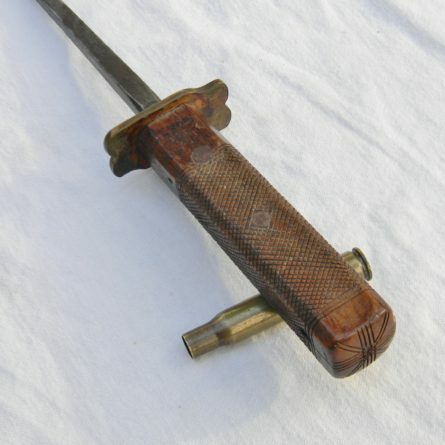 Original brass hand guard is is brazed to the blade – an unusually high-quality production for war time. The blade has some surface rust and light pitting here and there, but nothing major; needle-like spike tip is intact. 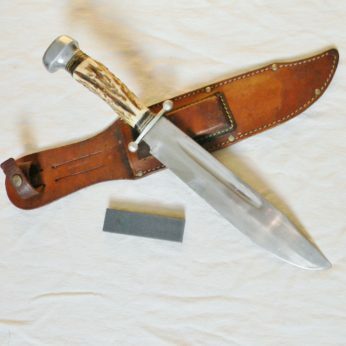 Original hand-made leather scabbard is held together not with the usual stitches, but with a bunch of tiny iron nails. 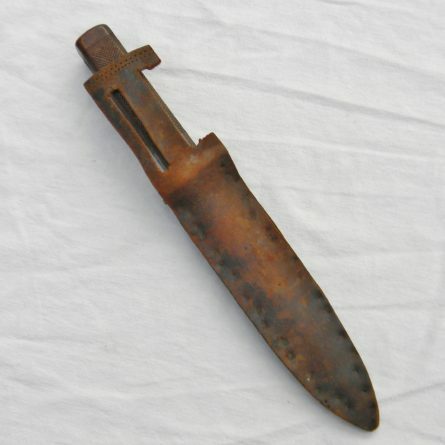 Looks like it was made from a boot leather, a evident from the traces of stitching on some parts. 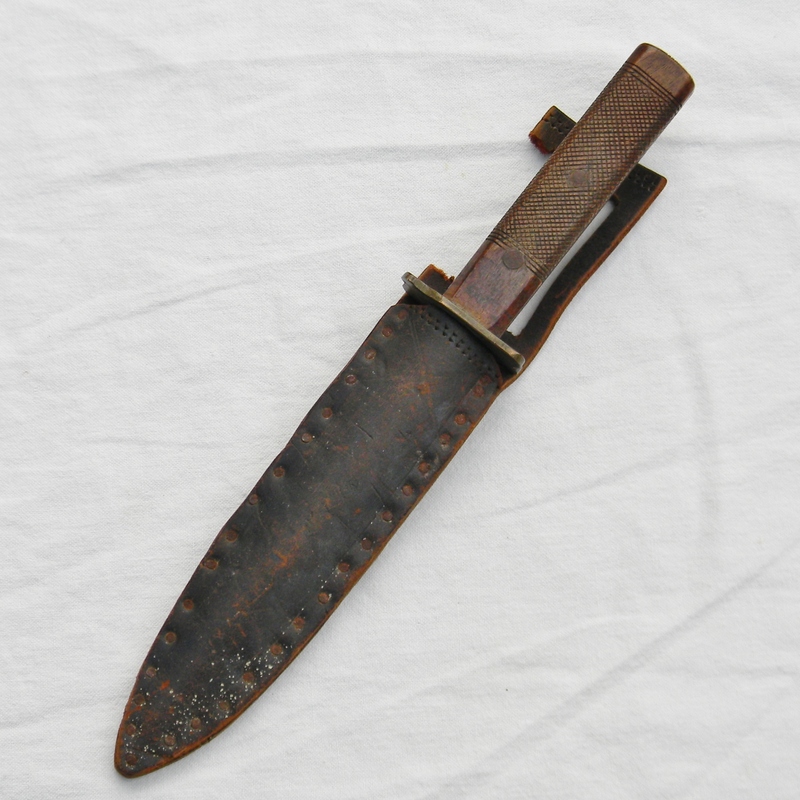 High-quality thick leather is still soft and supple; one part of the belt hanger is missing. 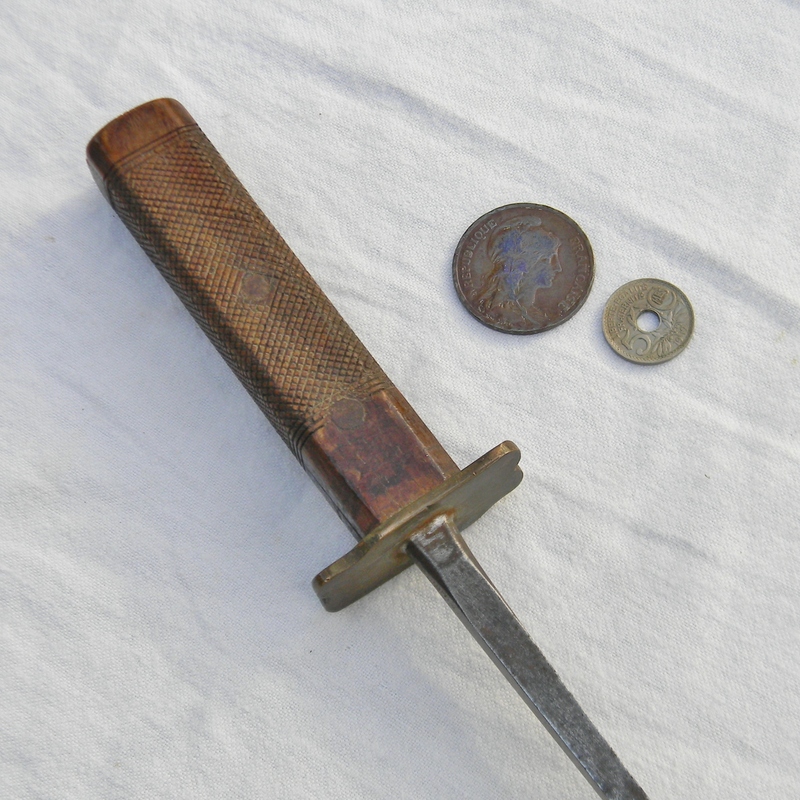 Very cool and very hard to find WW1 era French close quarters fighting knife/ trench dagger. In spite the age and obvious field use, this old timer is in 100% serviceable condition still, even after 100+ years. 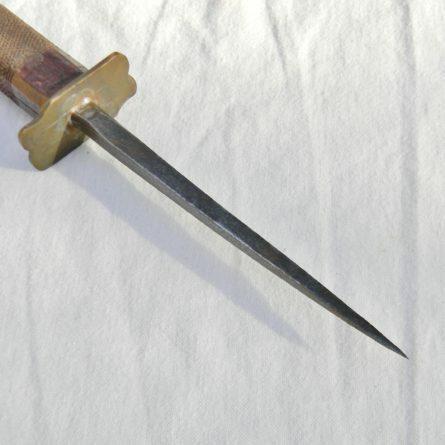 Please take a look at another original WW1 “Coutrot Knife” stiletto dagger made from the tip of M1886/91 Lebel “spike” bayonet. 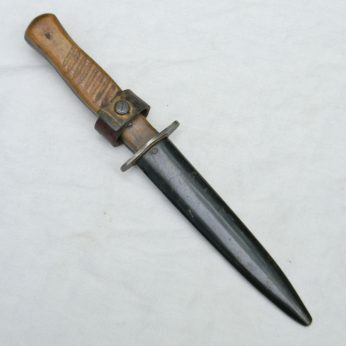 Today most of the surviving WW1 era French trench daggers are in private collections & rarely come up for sale. 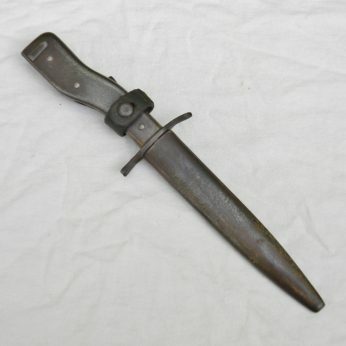 Don’t miss your chance to add this original WW1 France Le Poignard trench dagger to your collection! 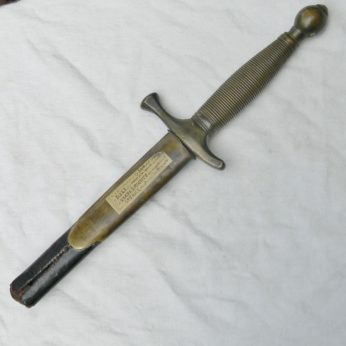 We have a small but very interesting collection of various edged WW1 and WW2 era weapons to sell. 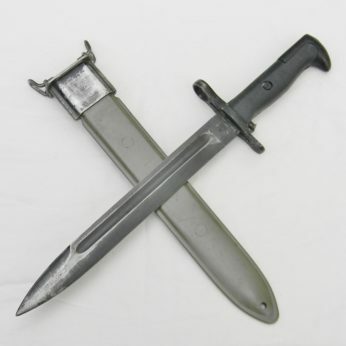 Don’t forget to check out our Militaria section for other vintage combat knives, including WW1 French daggers, German WW1 era trench knives, vintage USAF WW2 Pilot Knives and a couple of rare WW2 “OSS Drop” knives we offer for sale. 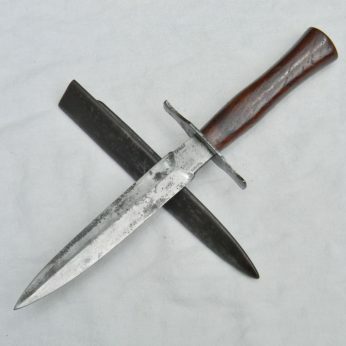 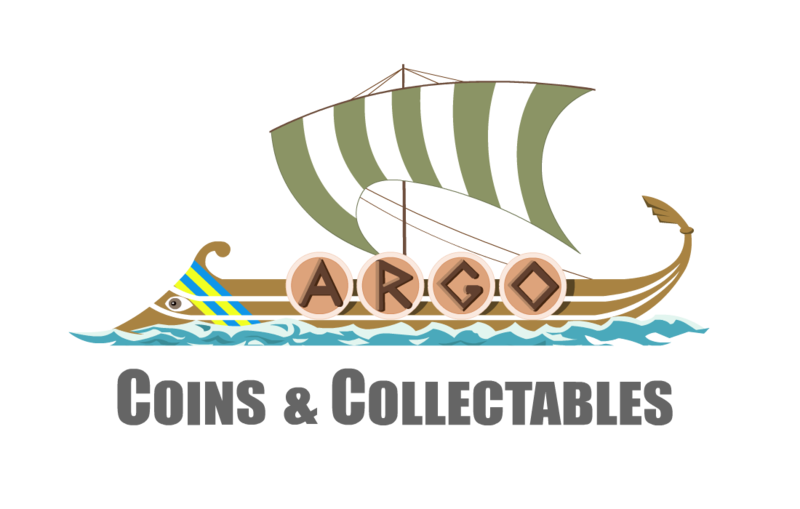 FREE SHIPPING WITHIN THE U.S. FOR THIS ITEM! 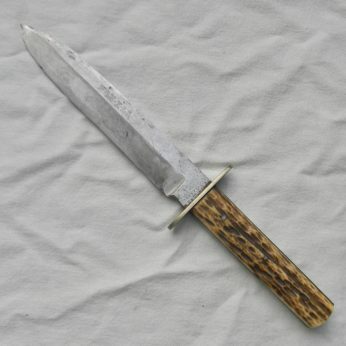 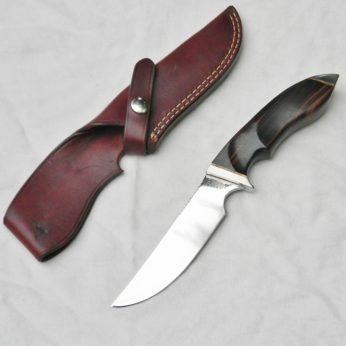 TOM MORLAN-unique large custom Hunting Bowie; “Eagle Head” handle carving by John Alward; MINT!